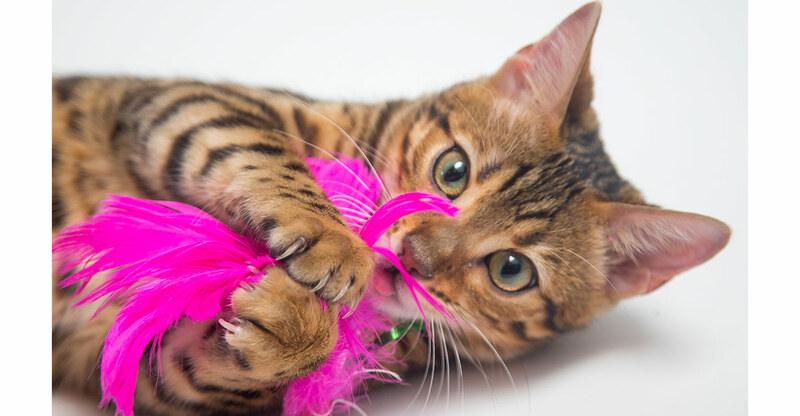 Alison Page rounds up the best Bengal cats toys for these ultra-playful pets. If you have a beautiful Bengal cat in your household, you’re a very lucky pet parent! Like most cats, Bengals enjoy a good game and they tend to be lively characters. For reasons we’ll discuss later in this article, many Bengal cats live indoors as house cats. These two factors make it very important to choose the right toys for your pet’s happiness and life enrichment. So, how do you choose the best toys for Bengal cats? First of all, let’s look at what might make the most suitable toys for Bengal cats. We’ll take into account your Bengal’s personality, play preferences, and likely home circumstances. Then we’ll present you with an overview of what kind of toys for Bengal cats are on offer at the moment. Bengal cats may look like miniature exotic wild creatures, but their temperament is usually more akin to that of the common domestic moggy, with a little added exuberance. Bengals are typically intelligent, lively, and enthusiastic when it comes to playtime. They like to play chase, and enjoy toys that have an intriguing, interactive element. Bengal cats are also very sociable and love interaction with their owners. A game is often much more fun when you join in too! Why are Bengal cats usually house cats? Bengal cats are renowned for their unique, leopard print coats, which can vary in shade from silver or snow white to brown or grey (blue). They are classed as a pedigree breed, and this means that they have a value. Unfortunately, Bengal cats’ looks and breeding make them a tempting target for thieves. Sadly cat thieves often look for pedigree pets in order to sell them on to unsuspecting buyers. This is why you must your Bengal microchipped, whether he goes out in the yard or not. In exclusively-indoor Bengal kitty may have to spend his time home alone while you’re out at work all day. That means the very best Bengal cat toys are extremely important for his happiness and wellbeing. What are the best Bengal cat toys? Because of their bright and curious nature, Bengals enjoy playing with interactive cat toys. Some interactive toys also mean that your pet gets to play with you; something he will certainly enjoy! Bengal cats also love remote control toys, which satisfy the breed’s natural instinct to chase things. This is a win-win for both pet and owner; your pet gets to enjoy the thrill of the chase, but you don’t have to receive live mice and birds as gifts from your pet! As many Bengal cats are indoor cats, you might also want to consider toys are that specifically designed with this in mind. There is a great selection of remote toys that would be perfect for your Bengal cat. They don’t all need you to be present in order to operate them, so your pet can play happily, even when you’re out at work. You can save your local rodent population from harm whilst still giving your Bengal the stimulation and fun he craves by treating him to the Hex Bug mouse. The fur-covered mouse moves randomly and realistically, stopping, starting, and pausing just like a real mouse does! The Hex Bug is able to navigate around obstructions, right itself again if your pet flips it over, and it can even find its way out of corners. Batteries are included with the mouse. The main downside of this toy is that it cannot be used on carpets and only works on a hard surface. This concealed motion toy is designed to replicate the movements of a hidden prey creature, moving beneath the durable plush toy. Your cat will be enthralled by the moving lights and erratically waving wand and ribbons as the toy moves randomly across the floor. This toy has two speed settings too, allowing you to vary the action for your kitty! The only drawback with this motion toy is that you cannot leave it switched on indefinitely. It must be turned off between play sessions, meaning that your cat will not be able to play with it while you are out for long periods of time. Interactive cat toys work by priming your cat’s natural instinct to hunt and play. Cats who live outside for part of the time often get some of this stimulus from their environment. However, if your Bengal is an inside cat, interactive toys can be used to provide an effective substitute for the action they might see in the great outdoors from within the safe confines of your home. Interactive toys stimulate all five of your Bengal’s senses; hearing, sight, touch, taste, and smell. At the end of the game, some toys may reward your cat with food, perfectly mimicking a real “hunt”. Interactive Bengal cat toys can be good for their health too! Intelligent cats such as Bengals can be easily bored. Interactive toys help to provide them with entertainment, satisfy their curiosity, and help to keep their brains active. Indoor cats, especially those in single cat households run the risk of becoming lazy and overweight. In fact, veterinary research shows that pet obesity is a worldwide problem, especially in indoor cats and dogs that spend most of their time in the house. A chubby kitty can develop serious health problems, including diabetes and heart disease, so burning off excess calories through play and exercise is vital for your pet’s health. Interactive cat toys can provide your pet with the stimulus he needs to keep him active and help to prevent him from becoming fat and unhealthy. Here’s a selection of our favorite interactive Bengal cat toys. The Cat Amazing game and puzzle box can keep your Bengal cat or kitten occupied for hours! The puzzle box is designed to encourage your pet’s natural behaviors of exploration, scenting, and scratching in order to discover a hidden food reward. 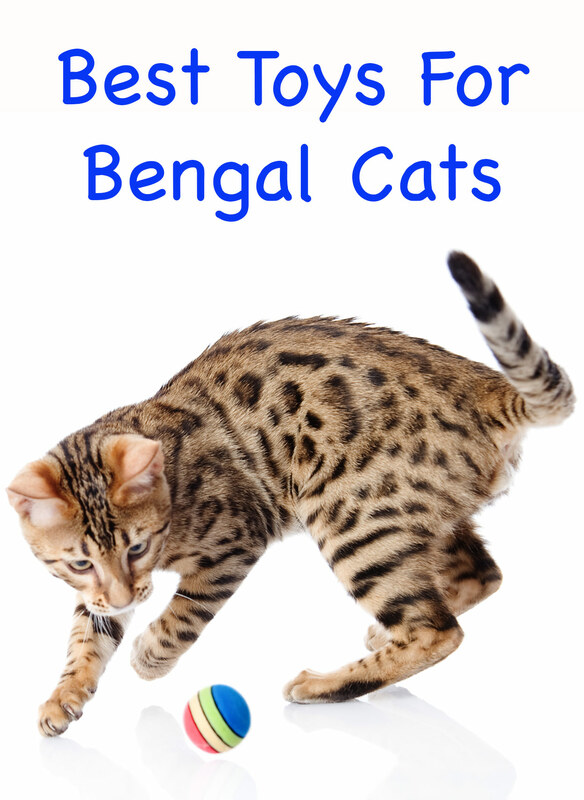 There are three levels of difficulty to challenge your clever Bengal as his skills improve! You can use the puzzle box with your Bengal’s favorite treats, catnip, toys, or crinkle balls. Alternatively, this ingenious toy can be used as a puzzle feeder, helping to promote slower eating in greedy cats. Pet Fit for Life’s multi feather teaser and exerciser toy is built to last, even if your Bengal likes to play rough! The carbon fiber wand is designed to handle the toughest of play sessions and also conveniently splits into two parts for easy storage. The wand has a soft, foam handle that’s easy to grip and comfortable to hold while you play with your cat. 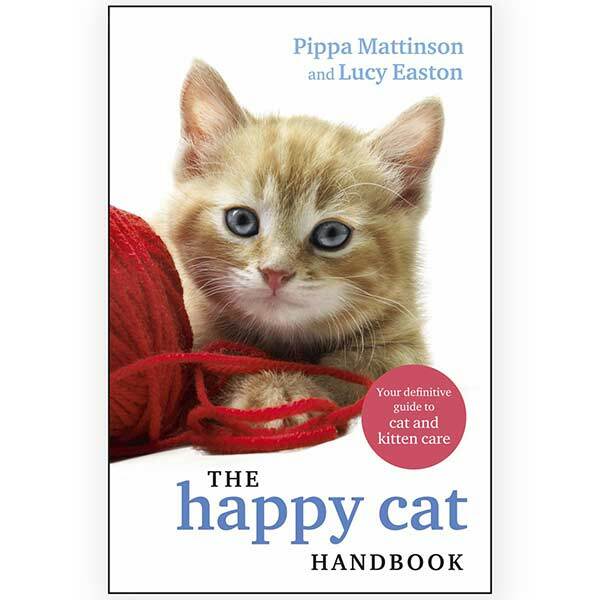 As an added bonus, when you buy this toy, you will receive a free informative PDF file, containing lots of helpful information and ideas on the best ways of exercising your cat. This stainless steel, silver laser chase toy is a brilliant interactive toy that your cat will love. And you get to join in the fun too! The LED light has a lifespan of up to 10,000 hours and is absolutely safe for your cat to play with. The toy comes complete with a mini USB cable, allowing you to recharge the device via your computer or any wall socket. The laser projects four different images for your cat to chase; smiley face, butterfly, UFO, and thumbs up. If your Bengal cat enjoys the thrill of chasing little furry critters, he’ll love this interactive toy! The fur-covered, catnip mouse runs around the track each time your cat touches it, over and over again. The top of the toy provides a scratching pad, so you need not worry that your pet is sharpening his claws on your furniture! The toy has non-slip pads on the bottom too, so the toy won’t move while you cat is playing. The Bergan Hurricane Toy features a dual track and two balls for your cat to chase, bat around, and pounce on. The clever design allows you to place some catnip (provided with the toy) into the center of the track, and the movement of the balls circulates the aroma of the tempting herb, providing an added incentive for your kitty to play. The toy is made in the USA from very high-quality, durable materials. If your cat loves to chase, then this could be the perfect toy! The ball moves continually, while a red light flashes to catch your Bengal’s attention. The toy has a unique self-balancing system that causes the ball to change direction randomly whenever it collides with anything such as a wall or an item of furniture. The toy is simply operated by pressing a button to activate it and can be safely left switched on; no more worries about your cat becoming bored while you are out! Three sets of batteries are included with the toy. Bengal cats are lively, curious, and intelligent creatures who thrive on plenty of action! This applies especially to cats who live indoors 24/7 and who do run the risk of becoming lazy and bored. You can keep your Bengal cat fit, healthy, and happy by providing lots of fun toys to entertain him while you are not around. Our round-up of the best Bengal cat toys includes interactive and remote toys, as well as a few of the more traditional gadgets that work best when you are involved in playtime too! We would be really interested to learn what Bengal cat toys your pet prefers, especially if you bought any of those mentioned in this article. Why not share your cat’s perfect toy in the comments section below! Alexander J. German, “The Growing Problem of Obesity in Dogs and Cats” The Journal of Nutrition, 2006.